摘要 关中地区作为一带一路重要的工农业发达地区之一，开展针对该地区地下水储量变化的监测和分析工作对揭示地下水储量变化特征与经济社会发展具有重要现实意义.本文基于2003—2014年GRACE卫星重力场模型数据，采用组合滤波及单一尺度因子方法反演了关中地区陆地水储量变化，扣除GLDAS地表水平均结果，对关中地区地下水储量变化进行了监测分析.将陆地水储量变化与GLDAS进行相关性分析，将地下水储量变化与WGHM地下水模型及实测地下水位结果进行对比分析.研究结果表明：①关中地区陆地水变化与GLDAS模型结果具有较强的相关性，相关系数多数大于0.7，其中与模型平均结果的相关系数可达0.8.② 2003—2008年关中地区地下水呈正增长趋势，增加速率为0.25 cm·a-1，与同期实测数据变化趋势一致；但2003—2013年地下水存在长期亏损，亏损速率为-0.37 cm·a-1等效水高，这与同时期WGHM估算结果-0.35 cm·a-1十分吻合.③关中地区地下水存在明显的年变化特征，在2003—2014年期间地下水减少速率为-0.44 cm·a-1，与该地区降雨量有较好的一致性，在降雨偏少的2008、2012和2013年，地下水也显著减少. Abstract：Guanzhong is one of the important industrial and agricultural developed areas in ‘One Road and One Belt’. It is necessary to monitor and analyze groundwater storage (GWS) variations in this area to reveal the characteristics of GWS, which is of great importance for economic and social development. Firstly, based on the gravity field model from the Gravity Recovery and Climate Experiment (GRACE) satellite data from 2003 to 2014, the combined filter and method of single-scale factor are applied to invert the terrestrial water storage (TWS) variations in the Guanzhong area. Then by subtracting the results of GLDAS average surface water from TWS, GWS variations in this area are determined. Finally, the correlation between TWS and GLDAS is analyzed, and the GWS variations are compared with that from the WGHM groundwater model and well observations. The results show that (1) the TWS variations in the Guanzhong area have a strong correlation with the GLDAS model (VIC, NOAH, CLM, and MOSIC). The most correlation coefficients between them are greater than 0.7, whereas the correlation coefficient between the model average and TWS is up to 0.8. (2) During 2003 to 2008, GWS in the Guanzhong area showed a positive growth trend, and the increase rate was 0.25 cm·a-1, which is consistent with the trend of well observations in the same period. However, there was a long-term depletion of GWS from 2003 to 2013, and the depletion rate is -0.37 cm·a-1, which agrees well with the WGHM estimation result of -0.35 cm·a-1 for the same period. (3) There are obvious annual variation characteristics of GWS in the Guanzhong area. The rate of GWS depletion during 2003 to 2014 was -0.44 cm·a-1, which was in good agreement with the rainfall in this area, while during the drought years, i.e., 2008, 2012 and 2013, GWS also decreased significantly. Belda S, García-García D, Ferrándiz J M. 2015. On the decorrelation filtering of RL05 GRACE data for global applications. Geophysical Journal International, 200(1):173-184. Bettadpur S. 2007. UTCSR Level-2 gravity field product user handbook, GRACE 327-734, Center for Space Research. The University of Texas at Austin, Austin. Chen J L, Wilson C R, Famiglietti J S, et al. 2006. Spatial sensitivity of the Gravity Recovery and Climate Experiment (GRACE) time-variable gravity observations. Journal of Geophysical Research:Solid Earth, 111(B6):115-139, B08408, doi:10.1029/2004JB003536. Cheng M K, Tapley B D. 2005. Variations in the Earth's oblateness during the past 28 years. Journal of Geophysical Research:Solid Earth, 110(B9):B09402, doi:10.1029/2004JB003028. Döll P, Müller S H, Schuh C, et al. 2014. Global-scale assessment of groundwater depletion and related groundwater abstractions:Combining hydrological modeling with information from well observations and GRACE satellites. Water Resources Research, 50(7):5698-5720. Duan L, Wang W K, Sun Y B, et al. 2016. Iodine in groundwater of the Guanzhong Basin, China:Sources and hydrogeochemical controls on its distribution. Environmental Earth Sciences, 75:970. Famiglietti J S, Lo M, Ho S L, et al. 2011. Satellites measure recent rates of groundwater depletion in California's Central Valley. Geophysical Research Letters, 38(3):L03403, doi:10.1029/2010GL046442. Feng J, Qian H. 2015. Analysis of precipitation characteristics in Guanzhong area. Journal of North China University of Water Resources and Electric Power (Natural Science Edition) (in Chinese), 36(3):8-12, 48. Feng W, Lemoine J M, Zhong M, et al. 2012. Terrestrial water storage changes in the Amazon basin measured by GRACE during 2002-2010. Chinese Journal of Geophysics (in Chinese), 55(3):814-821, doi:10.6038/j.issn.0001-5733.2012.03.011. Feng W, Wang C Q, Mu D P, et al. 2017. Groundwater storage variations in the North China Plain from GRACE with spatial constraints. Chinese Journal of Geophysics (in Chinese), 60(5):1630-1642, doi:10.6038/cjg20170502. Han S C, Shum C K, Jekeli C, et al. 2005. Non-isotropic filtering of GRACE temporal gravity for geophysical signal enhancement. Geophysical Journal International, 163(1):18-25. He X B, Tao F P, T H, et al. 2015. Analysis on groundwater level variation regulation of Guanzhong plain and its influencing factors. Ground Water (in Chinese), 37(3):52-54. Hu X G, Chen J L, Zhou Y H, et al. 2006. Seasonal water storage change of the Yangtze River basin detected by GRACE. Science in China Series D, 49(5):483-491. Iqbal N, Hossain F, Lee H, et al. 2016. Satellite gravimetric estimation of groundwater storage variations over Indus basin in Pakistan. IEEE Journal of Selected Topics in Applied Earth Observations and Remote Sensing, 9(8):3524-3534. Jekeli C. 1981. Alternative methods to smooth the Earth's gravity field. Columbus, USA:Department of Geodetic Science and Surveying, Ohio State University. Klees R, Zapreeva E A, Winsemius H C, et al. 2006. The bias in GRACE estimates of continental water storage variations. Hydrology and Earth System Sciences, 11(4):1227-1241. Landerer F W, Swenson S C. 2012. Accuracy of scaled GRACE terrestrial water storage estimates. Water Resources Research, 48(4):W04531, doi:10.1029/2011WR011453. Longuevergne L, Scanlon B R, Wilson C R. 2010. GRACE Hydrological estimates for small basins:Evaluating processing approaches on the High Plains Aquifer, USA. Water Resources Research, 46(11):W11517, doi:10.1029/2009WR008564. Luo Z C, Li Q, Zhong B. 2012. Water storage variations in Heihe river basin recovered from GRACE temporal gravity field. Acta Geodaetica et Cartographica Sinica (in Chinese), 41(5):676-681. Ma Z Y, Dou H P, Li T, et al. 2012. Geochemical study of groundwater mineralization in Guanzhong Basin, Shaanxi province, NW China. Desalination and Water Treatment, 42(1-3):317-322. Rodell M, Famiglietti J S. 2001. An analysis of terrestrial water storage variations in Illinois with implications for the Gravity Recovery and Climate Experiment (GRACE). Water Resources Research, 37(5):1327-1339. Rodell M, Houser P R, Jambor U, et al. 2004. The global land data assimilation system. Bulletin of the American Meteorological Society, 85(3):381-394. Strassberg G, Scanlon B R, Chambers D. 2009. Evaluation of groundwater storage monitoring with the GRACE satellite:Case study of the High Plains aquifer, central United States. Water Resources Research, 45(5):195-211, W05410, doi:10.1029/2008WR006892. Swenson S, Wahr J. 2002. Methods for inferring regional surface-mass anomalies from Gravity Recovery and Climate Experiment (GRACE) measurements of time-variable gravity. Journal of Geophysical Research:Solid Earth, 107(B9):2193, doi:10.1029/2001JB000576. Swenson S, Wahr J, Milly P C D. 2003. Estimated accuracies of regional water storage variations inferred from the Gravity Recovery and Climate Experiment (GRACE). Water Resources Research, 39(8):1223, doi:10.1029/2002WR001808. Swenson S, Wahr J. 2006. Post-processing removal of correlated errors in GRACE data. Geophysical Research Letters, 33(8):L08402, doi:10.1029/2005GL025285. Tao H, Tao F P, Liu W B. 2013. Characteristics and influencing factors of groundwater dynamics in Guanzhong urban agglomeration during the last 50 years. Hydrogeology & Engineering Geology (in Chinese), 40(6):37-42, 61. Tapley B D, Bettadpur S, Ries J C, et al. 2004. GRACE measurements of mass variability in the Earth system. Science, 305(5683):503-505. Tiwari V M, Wahr J, Swenson S. 2009. Dwindling groundwater resources in northern India, from satellite gravity observations. Geophysical Research Letters, 36(18):184-201, L18401, doi:10.1029/2009GL039401. Wahr J, Molenaar M, Bryan F. 1998. Time variability of the Earth's gravity field:Hydrological and oceanic effects and their possible detection using GRACE. Journal of Geophysical Research:Solid Earth, 103(B12):30205-30230. Wahr J, Swenson S, Zlotnicki V, et al. 2004. Time-variable gravity from GRACE:First results. Geophysical Research Letters, 31(11):293-317, L11501, doi:10.1029/2004GL019779. Wahr J, Swenson S, Velicogna I. 2006. Accuracy of GRACE mass estimates. Geophysical Research Letters, 33(6):L06401, doi:10.1029/2005GL025305. Wu Y L, Li H, Zou Z B, et al. 2015. Investigation of water storage variation in the Heihe River using the Forward-Modeling method. 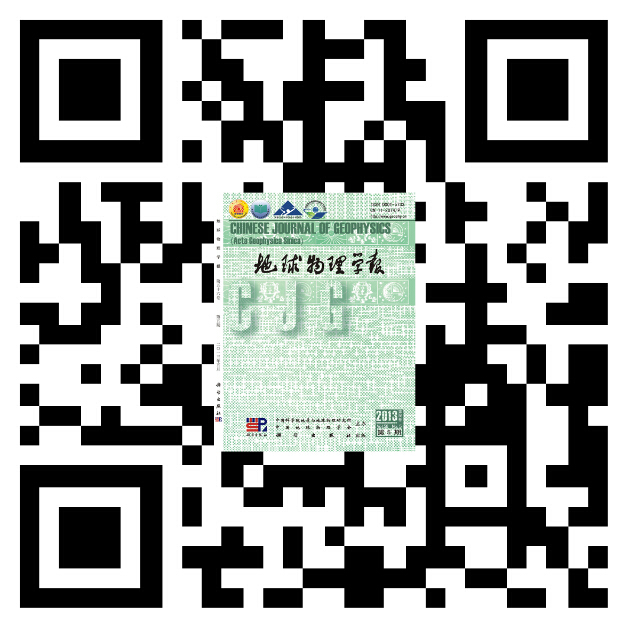 Chinese Journal of Geophysics (in Chinese), 58(10):3507-3516, doi:10.6038/cjg20151007. Zhan J G, Wang Y, Hao X G. 2011. Improved methods for removal of correlated errors in GRACE data. Acta Geodaetica et Cartographica Sinica (in Chinese), 40(4):442-446, 453. Zhang Z Z, Chao B F, Yang L, et al. 2009. An effective filtering for GRACE time-variable gravity:Fan filter. Geophysical Research Letters, 36(17):1397-1413, L17311, doi:10.1029/2009GL039459. 冯晶, 钱会. 2015. 关中地区降水特征分析. 华北水利水电大学学报(自然科学版), 36(3):8-12, 48. 冯伟, Lemoine J M, 钟敏等. 2012. 利用重力卫星GRACE监测亚马逊流域2002-2010年的陆地水变化. 地球物理学报, 55(3):814-821,doi:10.6038/j.issn.0001-5733.2012.03.011. 冯伟, 王长青, 穆大鹏等. 2017. 基于GRACE的空间约束方法监测华北平原地下水储量变化. 地球物理学报, 60(5):1630-1642, doi:10.6038/cjg20170502. 贺旭波, 陶福平, 陶虹等. 2015. 关中平原地下水水位变化规律与影响因素分析. 地下水, 37(3):52-54. 胡小工, 陈剑利, 周永宏等. 2006. 利用GRACE空间重力测量监测长江流域水储量的季节性变化. 中国科学 D辑:地球科学, 36(3):225-232. 罗志才, 李琼, 钟波. 2012. 利用GRACE时变重力场反演黑河流域水储量变化. 测绘学报, 41(5):676-681. 陶虹, 陶福平, 刘文波. 2013. 关中城市群50年地下水动态变化及影响因素研究. 水文地质工程地质, 40(6):37-42, 61. 吴云龙, 李辉, 邹正波等. 2015. 基于Forward-Modeling方法的黑河流域水储量变化特征研究. 地球物理学报, 58(10):3507-3516, doi:10.6038/cjg20151007. 詹金刚, 王勇, 郝晓光. 2011. GRACE时变重力位系数误差的改进去相关算法. 测绘学报, 40(4):442-446, 453. 王林松, 陈超, 马险, 杜劲松. 冰盖消融的海平面指纹变化及其对GRACE监测结果的影响[J]. 地球物理学报, 2018, 61(7): 2679-2690. 梁明, 王武星, 张晶. 联合GPS和GRACE观测研究日本MW9.0地震震后变形机制[J]. 地球物理学报, 2018, 61(7): 2691-2704. 郭南男, 周旭华, 吴斌, 赵罡. 联合星载GPS和KBRR星间测速数据反演GRACE时变重力场模型[J]. 地球物理学报, 2017, 60(7): 2568-2577. 冯伟, 王长青, 穆大鹏, 钟敏, 钟玉龙, 许厚泽. 基于GRACE的空间约束方法监测华北平原地下水储量变化[J]. 地球物理学报, 2017, 60(5): 1630-1642. 赵红, 刘智, 郭春喜, 程传录, 王文利, 王建伟. 卫星重力场恢复中海潮负荷效应的改正[J]. 地球物理学进展, 2017, 32(5): 1961-1966. 杨帆, 许厚泽, 钟敏, 王长青, 周泽兵. 利用径向基函数RBF解算GRACE全球时变重力场[J]. 地球物理学报, 2017, 60(4): 1332-1346. 薛康, 瞿伟, 张勤, 安东东, 王栋, 张冰. 附加GPS时序约束的GRACE陆地水储量反演[J]. 地球物理学进展, 2017, 32(2): 531-537. 杨帆, 王长青, 许厚泽, 钟敏, 周泽兵. 利用运动学轨道提高GRACE时变重力场解算[J]. 地球物理学报, 2017, 60(1): 37-49. 李文文, 李敏, 施闯, 赵齐乐. 基于GRACE星载加速度计数据的热层密度反演[J]. 地球物理学报, 2016, 59(9): 3159-3174. 邹贤才, 衷路萍, 李建成. 卫星精密定轨与重力场建模的同解法[J]. 地球物理学报, 2016, 59(7): 2413-2423. 罗志才, 周浩, 李琼, 钟波. 基于GRACE KBRR数据的动力积分法反演时变重力场模型[J]. 地球物理学报, 2016, 59(6): 1994-2005. 钟玉龙, 钟敏, 冯伟. 近十年全球平均海平面变化成因的卫星重力监测研究以及与ENSO现象的相关分析[J]. 地球物理学进展, 2016, 31(2): 643-648. 魏娜, 施闯, 刘经南. 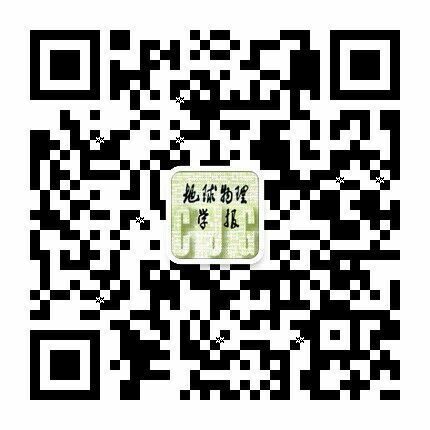 地表负载及GPS测站分布对参考框架转换的影响分析[J]. 地球物理学报, 2016, 59(2): 484-493. 邹贤才, 金涛勇, 朱广彬. 卫星跟踪卫星技术反演局部地表物质迁移的MASCON方法研究[J]. 地球物理学报, 2016, 59(12): 4623-4632. 高春春, 陆洋, 史红岭, 张子占, 姜永涛. 联合GRACE和ICESat数据分离南极冰川均衡调整(GIA)信号[J]. 地球物理学报, 2016, 59(11): 4007-4021.